Getting a kid committed to a brand before that kid is even out of diapers is a pretty brilliant move, and what little kid would not want a Harley Davidson “motorcycle” built just for them? I would have loved this as a kid. The StaCyc website, though everything is listed as “sold out” (no doubt a process of the acquisition), has not only the whole bikes for sale but spare parts and upgrades available too. These bikes will be rebranded as Harley-Davidson and sold through the Harley dealer network. Harley is planning to have them available in the third quarter of 2019, so look for them starting in July or so. Plenty of time before the holiday rush! Though there is no word on the EDRIVE bikes’ pricing now that they’re Harley-branded, they were originally $649 for the 12” bike and $699 for the 16”. 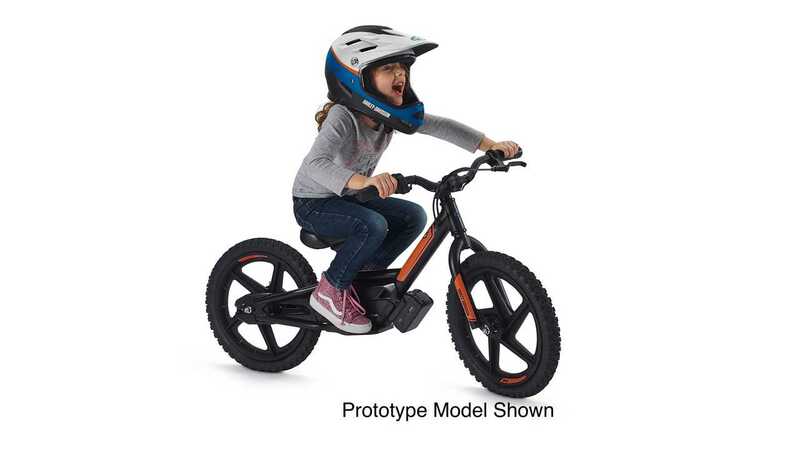 MILWAUKEE (March 5, 2019) – Harley-Davidson, Inc. (NYSE: HOG) announces today that it has acquired StaCyc, Inc., producer of the 12 and 16 EDRIVE, electric-powered two-wheelers specifically designed for kids. StaCyc, which entered the market in 2016, currently designs, markets and sells their EDRIVE models for kids, with an MSRP range of $649 to $699. StaCyc EDRIVES are sold in the U.S. through powersports dealerships, including 29 Harley-Davidson ® dealerships, online and in specialty bicycle retailers. The acquisition of StaCyc expands Harley-Davidson’s electric portfolio and reinforces its commitment to lead in the electrification of motorcycling. Harley-Davidson previously announced plans to launch LiveWire ™ , a premium, high-performance electric motorcycle in fall 2019 and future lightweight and middleweight electric motorcycles at various price points starting in 2021. The StaCyc electric two-wheelers will provide an entry point for the youngest riders to enjoy the thrill of riding. As a subsidiary, a Harley-Davidson branded version of StaCyc’s 12-inch and 16-inch models will be sold through select Harley-Davidson dealers. The branded products will be available in the U.S. in the third quarter of 2019. StaCyc branded EDRIVES will continue to be sold through StaCyc’s existing distribution network. 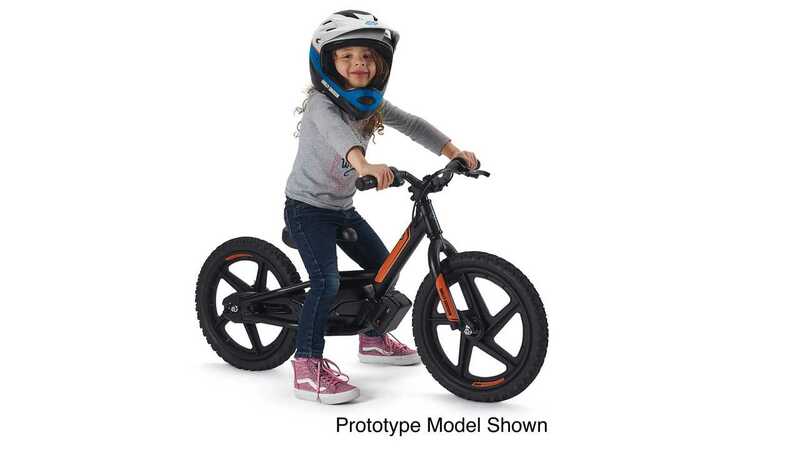 Since its inception, StaCyc has inspired more than 6,000 new riders to join the sport through its fun and upbeat brand that focuses on sharing the love of riding through its line of kids’ electric two-wheeled products. The company has served as a catalyst for engaging riders at an early age and has been first to market with an entirely new category in both the motorcycle and bicycle markets. About StaCyc StaCyc is a fun, upbeat kids’ brand that is passionate about “Sharing the Love of Riding”. StaCyc is focused on new rider creation within the motorcycle industry and as a young, growing company StaCyc is “first to market”, creating a new category within the motorsport and bicycle industries. The company currently offers a range of products that allow kids ages 3 and older, and less than 75 lbs. to enjoy the thrill of riding, many times for the first time. 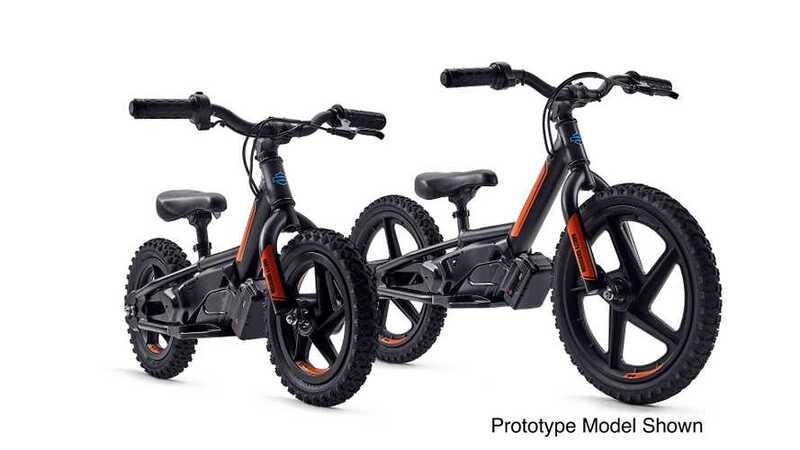 Introducing the new Harley-Davidson branded version of StaCyc’s electric 12-inch and 16-inch two-wheelers for kids. Harley- Davidson announced the acquisition of StaCyc on March 5.